Look to Lake Lewisville, in north Texas, if you are interested in lake homes for sale. Situated along the Elm Fork of the Trinity River, Lake Lewisville is a popular recreation destination for locals and tourists alike. You’ll find everything you need for a truly enjoyable lake experience right along the shoreline, making the case for calling Lake Lewisville home! 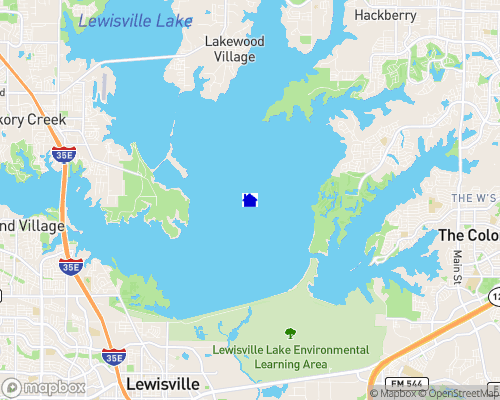 Lake Lewisville is in Denton County near the Dallas-Fort Worth area. Its proximity to such metropolitan ...Learn more here! Unincorporated Lakefront Lot w/ Big, Open Water and Lower Taxes! Last Of The Original Lakewood Village Lakefronts! Look to Lake Lewisville, in north Texas, if you’re interested in lake homes for sale. Situated along the Elm Fork of the Trinity River, Lake Lewisville is a popular recreation destination for locals and tourists alike. You’ll find everything you need for a truly enjoyable lake experience right along the shoreline, making the case for calling Lake Lewisville home! Lake Lewisville is in Denton County near the Dallas-Fort Worth area. Its proximity to such metropolitan hubs, along with its rightfully-earned reputation for offering supreme fishing and recreation, makes Lake Lewisville one of the region’s most prized outdoor locations. In fact, the lake has come to be known as “the official urban bass fishing capital of Texas.” Anglers appreciate just how true this title is, as Lake Lewisville is stocked full of record-breaking bass. Several bass fishing tournaments are held there each year, where proud first-place winners walk away with impressive prizes and even more remarkable catches. In addition to hosting healthy populations of largemouth, smallmouth, striped, and white bass, the waters teem with white crappie and blue and channel catfish. Fishing conditions are supported in part by variations in water depth, which is shallow and murky in places—prime real estate for resident bass! Fishing may be particularly spectacular at Lake Lewisville, but the recreation is not to be overlooked or underestimated either. Lake homes for sale are privileged to 183 miles of meandering shoreline that hosts everything from full-service public marinas to elegant waterfront restaurants. Visit one of the several public marinas situated around the water’s edge to purchase supplies, launch your own boat, or rent the water toy of your choice and then hit the water! Near the old dam, Party Cove welcomes boaters with the promise of good company and times. With 28,980 acres of water surface to splash about in, you’re sure to make some memorable waves! Off the water, help yourself to countless miles of designated park and nature reserve space. Numerous parks sit within 9,000 acres of state-protected land, ensuring lakefront properties always have access to the outdoor fun and beloved wildlife that make Lake Lewisville so great! The Lake Lewisville Environmental Learning area (LLELA) provides public access to 2,000 acres of unspoiled wilderness, complete with campsites and hiking trails to use as you explore your surroundings and take in sights of wild turkeys, bison, and even American Bald Eagles. Another fantastic way to enjoy the outdoors is to spend the day honing your swing on any area golf course. You’re surrounded by some of the state’s finest links: courses like Tour 18, Bridlewood, The Tribute, and Castle Hills reward players with inspiring views and challenging drives. If you’d like to live on a Lake Lewisville golf course, visit GolfHomes.com for property listings and details. Claim your piece of Lake Lewisville today, indulging yourself with access to priceless scenery, recreation, and memories!